CincaiBuy X ShopCoupons helping you to get your shopping needs! 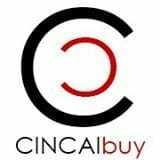 Cincaibuy.com is one of the many online shopping websites in which it is owned by Rutnet Sdn Bhd. It was founded on January 2013, with their vision of wanting to become an online shopping paradise for Malaysians. The’s a good chance he’ll say ‘cincailah, eat anything lah’ ‘cincailah’, with that concept, ‘Cincai’ is something we Malaysians all use as a sort of conjunction whenever we are talking informally to our friends, family or work colleagues. Just like asking your co-worker where he wants to eat, then where should we go for some online shopping? ‘cincaibuy lah’. Cincaibuy.com sells all of their products in a pre-order basis. This is because all of their product data is received from Chinese websites, such as Taobao.com. It is similar as websites such as Lelong.my right here in Malaysia. As a result of that, you will be able to see many similar if not identical products in the same page. Once the order is received from a customer, their staff in China will be able to start the purchasing as well as the delivering of the product to their customers in China within 10 working days. Cincaibuy Malaysia does not have ready stock of items that is why their staff in China will ensure that it will meet the requirements of the product as stated under the “full description” of the product in their product page. Therefore, it should be said that the customers are recommended to choose an item with a good “full description” of the product. There are so many products to choose from Cincaibuy, and if you are unsure, just do a quick Google search and type in something like Cincaibuy cheongsam, Cincaibuy wedding dress, Cincaibuy shoes, Cincaibuy bag or even Cincaibuy voucher! The shipment period of Cincaibuy Malaysia is; in normal circumstances, it can take about 10 working days or more than 10 days, as weekends and public holidays are not considered as working days. As soon as the order is processed and confirmed, the product will take an approximately 3 to 7 days in order for the order to be processed to Cincaibuy’s warehouse in China. It can be said that a delay of the aforesaid period will occur due to several factors. This includes the rare occurrence if the product is out of stock, in which they will inform and consult the customers if or not they can refund their amount paid or by replacing their item ordered which was not available by simply purchasing another item. There could also be another problem and that is that the supplier needs a few days in order to restock their item, in which that Cincaibuy Malaysia will let their customers decide whether they can choose to wait or to get themselves reimbursed with the paid amount. Another problem in which it might occur is that of the fact that there is a domestic logistic delay in China and that is due to National Holidays such as Chinese New Year and so on, which makes it an uncontrollable situation for the supplier. There are also occurrences in which they supplier sends the wrong colour, size or even a quality problem. And in the case of the situation, Cincaibuy will have to take the need to send back the item back to the supplier for a replacement, and that will naturally cause a few days delay for the correct product to reach the customer. One of the most common problems will be that if the customer decides to order multiple items in a single order, and if the items are from a different source, then it will take a longer period for all of the items to arrive, and this is usually due to if there is just one problem with one item, then it can seriously affect and slow down the entire ordering process of the customers. Upon the completion of the order, all of the purchased items will be repacked by Cincaibuy Malaysia and this will allow for the delivery of the products to Cincaibuy’s forwarding company. This forwarding company under normal and general circumstances will take usually 1 to 2 working days for the shipment to be processed. As soon as the forwarding company provides Cincaibuy Malaysia with a confirmation regarding the shipment, the goods will be duly shipped to the point as the confirmation says. Generally for this, it will take about 3 to 5 working days for the goods to reach your doorstep in Peninsular Malaysia, whereby in East Malaysia it may be delayed for another extra 1 to 3 working days. Therefore, under general and normal conditions, it can be said that the total period of the shipments will take about 10 working days for you, as the customer to receive the goods. Cincaibuy Malaysia will be responsible in handling the parcels, and this is accordance to Malaysia’s regulations in tax avoidance. Cincaibuy will also ensure that the goods will be cleared by the Chinese customs. This however, will mean that they will not be responsible for the clearance in Malaysia, and if the shipment is held up by customs, then the customers may have to face the additional or extra tax charges in order to retrieve the parcel. Items which are considered ‘sensitive items’ face a greater risk to be taxed by the custom. ‘Sensitive items’ are items such as battery related products, magnetic related products, liquids, pastes, cosmetics, food and drinks, medicine and herbs, branded products, compact disc, magazines, books and knives. As a result of being classified as a ‘sensitive item’, extra charges may be imposed. If you do have any inquiries about weather of not your item is counted as a ‘sensitive good’, then you should not hesitate to notify Cincaibuy Malaysia about it and send them an email. In which they can help you to clarify the risk of the item and make estimation on what charges that may be imposed on your item. If a parcel weighs over 10KGs, then the probability of it being seized by the customs is very high and that will require a pay comprising of tax duties. In the said event, Cincaibuy Malaysia may split your parcel into 2 separate parcels. How is ShopCoupons.my going to help you with your savings at Cincaibuy Malaysia? We help you by promoting the best saving deals for Cincaibuy that you would not find in other sites. Sometimes we might provide some great Cincaibuy Coupons that you can use to get additional discount OFF your booking fees! So do check our site RIGHT HERE as often as possible for secret insider deals for Cincaibuy Malaysia!